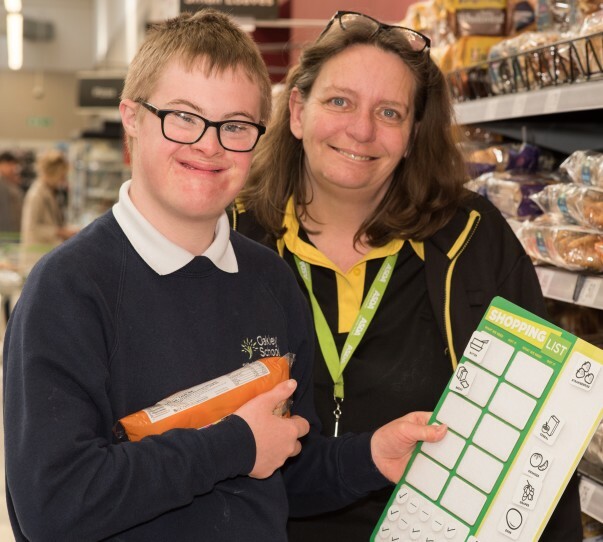 Pupils from a school in Tunbridge Wells had great fun when they came into their local Asda to try out our Happy Little Helpers boards with the Makaton counters – which are designed to make shopping trips more enjoyable and less stressful for people with additional needs. We've worked with The Makaton Charity to roll out the boards which use their well-known black and white symbols to help with communication. Oakley School is a special needs school for children aged from two to 18 with severe, profound or complex needs. The school's community and family engagement coordinator Jackie Thurtle said: "As soon as the class saw the boards they were engaged and excited. As Asda have used the well-known Makaton symbols they were instantly familiar as they use them every day here at Oakley School. "We were supported by five lovely Asda staff who walked around the store using the boards alongside our pupils. "When you have a child who has additional needs even a simple grocery shop can feel like a marathon with every step a struggle. These boards capture the child’s interest, gives them a purpose and responsibility and keeps the shopping flowing without frustration and boredom setting in. They entertain, teach and stimulate language and laughter – and make the shopping trip much more fun." Store manager Darren Barker said: "The school's visit was a real success – the children loved using the boards. "The reaction from the teachers was great as well and it was a pleasure for us to host this wonderful group. We're now hoping that our new community champion Janet Gilmore will be able to help them and volunteer with them in the future." Stephen Hall, chief executive of The Makaton Charity, said: "We are thrilled that Asda are incorporating Makaton into their stores. The Makaton Friendly scheme, which recognises establishments of all kinds where Makaton users will feel comfortable, is going from strength to strength. "We are working with schools, emergency services, attractions, retail and hospitality outlets including many well-known brands. This ensures that the excellent work done by organisations such as Asda continues within the community so that all customers feel welcome." 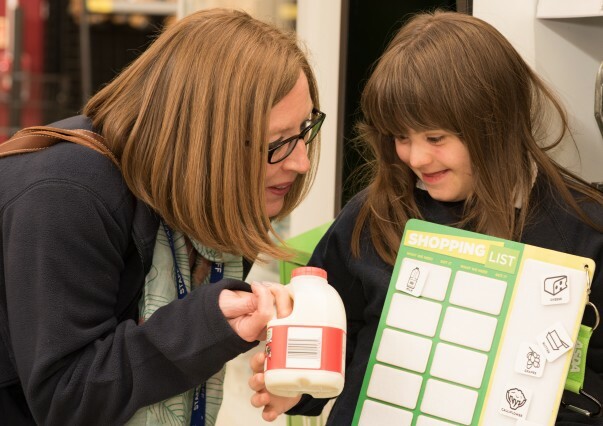 Jodie Tate, Asda vice president of central retail operations and chair of Asda’s inclusion board, said: “In 2017 we launched a visual shopping list called Happy Little Helpers which aims to make shopping trips a more pleasant experience for children with learning and communication difficulties. 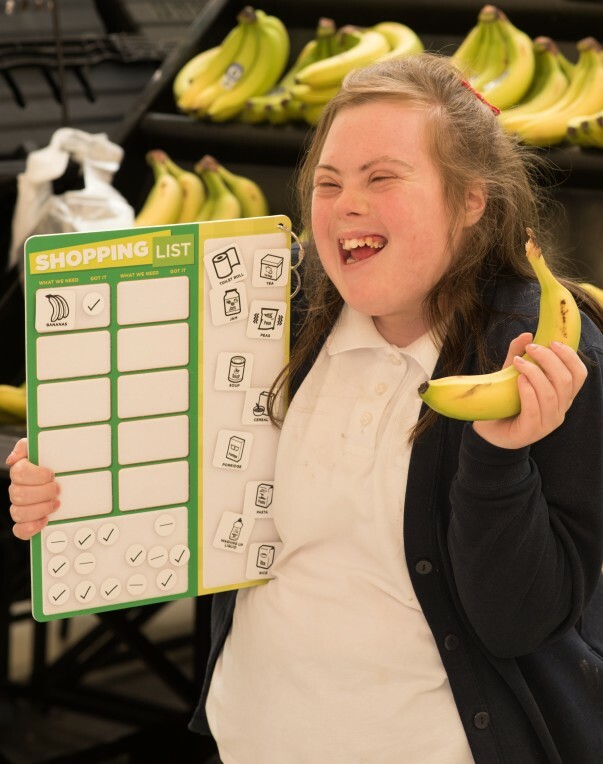 "Since then we’ve been working closely with The Makaton Charity to implement signs and symbols to support these fun shopping lists, and we are really proud to have become the first major UK supermarket to roll out the Makaton counters." The idea for the Happy Little Helpers boards came from Jenny Barnett, a colleague in our Middlesbrough store. Jenny’s son Charlie has non-verbal autism and she introduced the boards in the store to keep children like Charlie interested and engaged during their shopping trips. They went down so well with customers they were launched in 2017 in more than 300 of our larger stores. Now we’ve worked with The Makaton Charity to create a version that uses their well-known black and white symbols that are familiar to people who use them at school and in support groups.